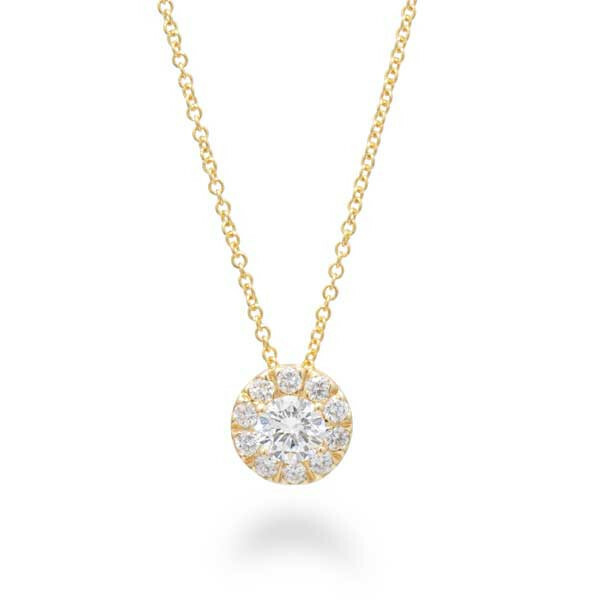 Featuring a glorious Forevermark diamond, this stunning pendant will sparkle. A single Forevermark diamond is set in a circle of 18kt yellow gold and surrounded by a halo of white diamonds. It floats beautifully along an 18" link chain to fall at the perfect spot on your neckline. You will love the delicate touch of elegance this Forevermark diamond pendant brings to your look.